I am currently in the process of restoring my SW20. It is a JDM Turbo Hardtop REV1. 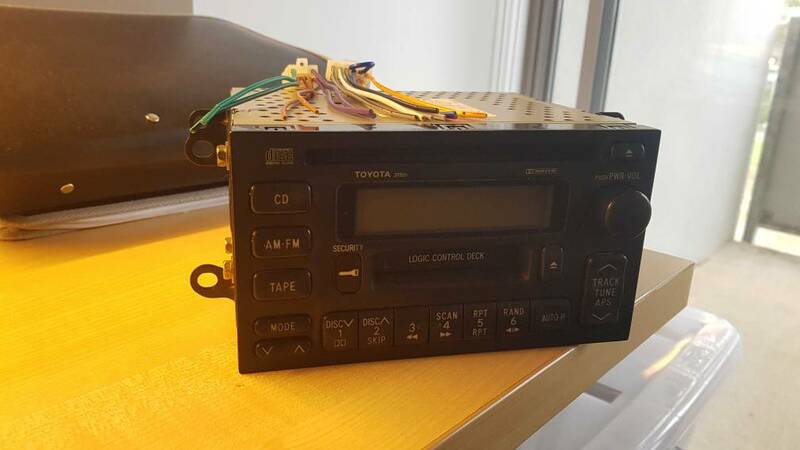 I have decided to swap out the JDM radio for the ADM radio. I have noticed the connector is a completely different style. 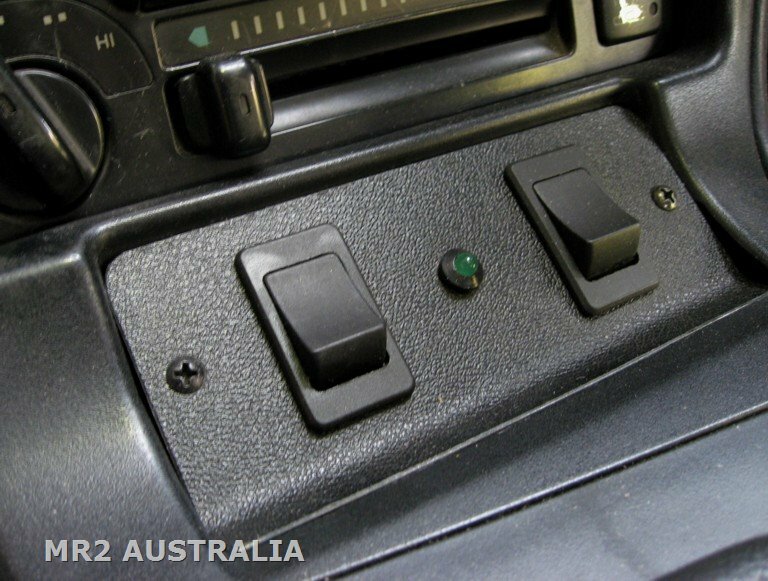 I have sourced the right loom connector (plastic bit that you plug into the back of the radio) Ebay part pic to be posted. I have now done some research and called the MR2 knowledge trust in Perth. After much internet research I have come up with this. Please let me know if you see any glaring mistakes in my wiring 'map'. This is also a post so in future if some other person decides to do the same it is more straight forward. Seems like my misguided attempt to use an AUDM radio was never going to work. As the radio sends signals for the Premium Sound Amplifier to process my working out was I could use the factory wiring for the speakers. As it stands I have only used the mains power and ignition power from the factory loom and I tapped into a nearby bolt for the earth. I will need to run my own wiring for the speakers. Thanks to Pete for helping me on this. You haven't posted an image to check. Most auto stores might be able to help you with a converter plug, should take the time to upgrade to a decent headunit, the stock one isn't fantastic. MR2 Club of Australia (NSW Branch) Inc. This is the map I've drawn up. It has what I think I currently have in the car to what I'll need to convert to with my new loom. I've also attached a screenshot of where I got my info from. 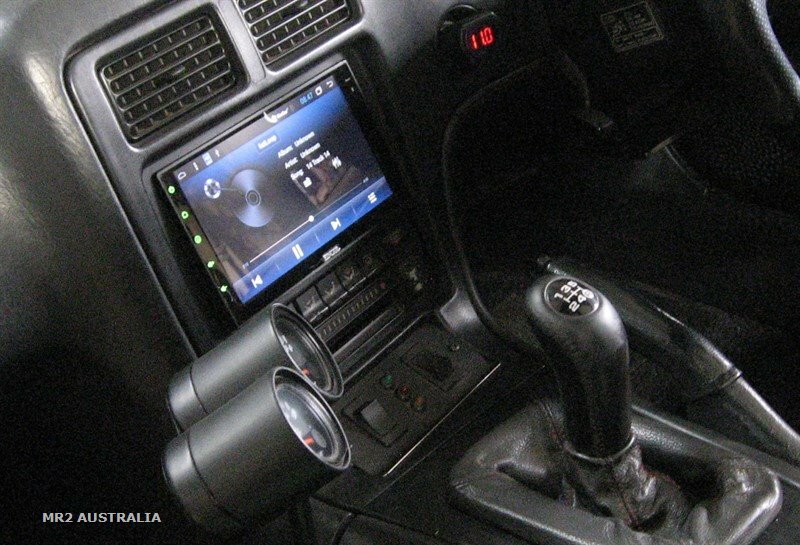 If you have 2 DIN units of space to fill have you considered fitting a modern head unit? I originally had a radio/cassette player in my '90 model, but who plays tapes (or even CD's) these days. I have now fitted an Android head unit, that IMO has in some ways moved my car into the 21st century. 7" touch screen, no knobs, multi tasking, link to your mobile, on board GPS, reversing camera, radio, no CD player but why would you want one when you can fit perhaps 50 albums on one USB stick. Important!! There are heaps of these available, and are easy to fit, but you would first need to do some research to get the right one. Because CDs product much better sound reproduction than what is generally available electronically. I notice the difference immediately listening to the same track CD to edm on the same HU. Hi Redtarga. I have a modern head unit but will put it in my daily driver. I will have a ramset tablet holder for a gps/internet radio receiver. Not going to lie. Mad jealous about what you have with your gauges and switches. Looks really good. I previously had the gauges mounted where the head unit is now, so I had to put them somewhere else, and the spot I now have them seems perfect. They are mounted on a bracket on the side of the transmission tunnel. The pic shows the 2 gauge pod out of the car. I didn't see the point of replacing my OEM cracked ash try lid, so I fitted something more useful. The switch plate is mounted to the ash tray lower section. It's a pretty clean unit after 3 hours of attempting to polish the years of grime off it. Unfortunately the clear plastic was a little damaged by some one prior but nothing major.